“God’s Own Country” as Kerala is called, is an attractive state situated at the southern corner of India offers a vacation filled with tranquillity. 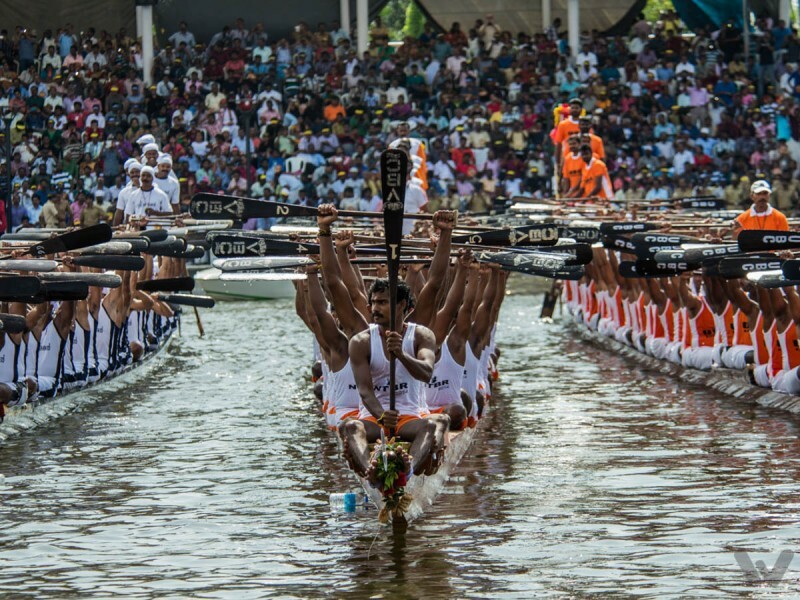 One can explore the mystical land of Kerala and have a beautiful, renewing and satisfying experience. 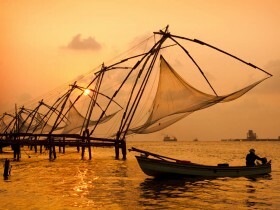 Kerala Tour Packages offers quality time relaxing on the sun-soaked beaches, visits to renowned temples which shed light to its history and fantastic architecture, a backwater cruise on a houseboat, Adventure treks, Jungle Safaris, Elephant Safari, Visits to Dams, Bamboo rafting, Palaces and the modern life vogue of Kochi. Experience the exotic cuisine of different parts of the state. It has every ingredient that makes it a perfect recipe for a memorable vacation. Alappuzha Houseboat Tour Package 2 Days 1 Night Includes Transfer from Kochi to Kochi, All Meals, 6 Hours of Cruise, Sightseeing. 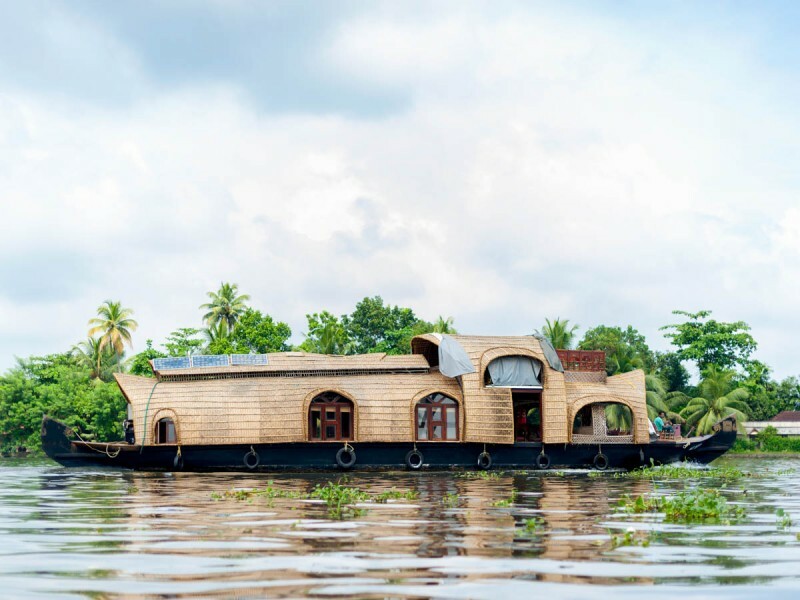 Get picked up from Cochin International Airport and Head to the backwaters of Kerala ( Alappuzha) to live the unique experience of staying on a houseboat for the rest of the day and night. The boats are self- sufficient and cater to all creature comforts based on the requirements. Pre-order your meal with us, including special requests and dietary requirements. The meals are cooked fresh on the boat and served as per your convenience. Cruise through the canals of Punnamada and Vembanad watching life on the banks as you pass by hamlets. Get your cameras and minds ready for that magic moment of the sunset. Enjoy your dinner under the starlit skies with the slow murmur of the lake and the boat slow rocking you to sleep. The Paradesi Synagogue is the oldest active synagogue located in Kochi. It was constructed in 1567, and it is one of seven synagogues of the Malabar Yehudan or Yehudan Mappila people or Cochin Jewish community in the Kingdom of Cochin. The local translation of the term Paradesi is "foreigners". The synagogue is housed in the quarter of Old Cochin known as Jew Town. 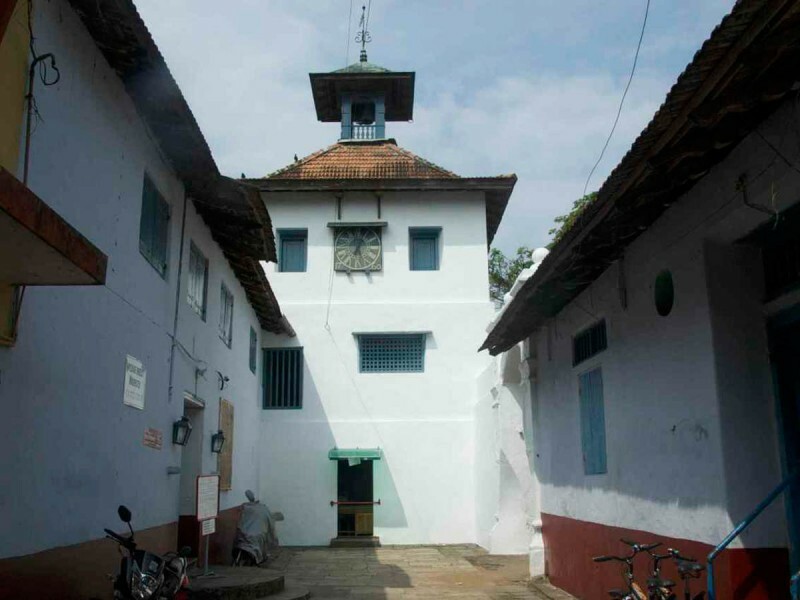 It is the only one of the seven synagogues in the area still in use and is built adjacent to Mattancherry Palace. The Cochin Jews have no rabbis, and the community is led by elders.One of the valuable possessions of the synagogue is the copper plates belonging to the 4th century with inscriptions in Malayalam. The inscriptions state the privileges granted to the community by the erstwhile Cochin king. It is inscribed in mirror image writing. The last Ethiopian Emperor gifted to the Jews with an oriental rug by the last which is also kept in the synagogue. Called ‘Cheena Vala’ in local parlance, the huge cantilevered fishing nets that droop towards the waters like over-sized hammocks. 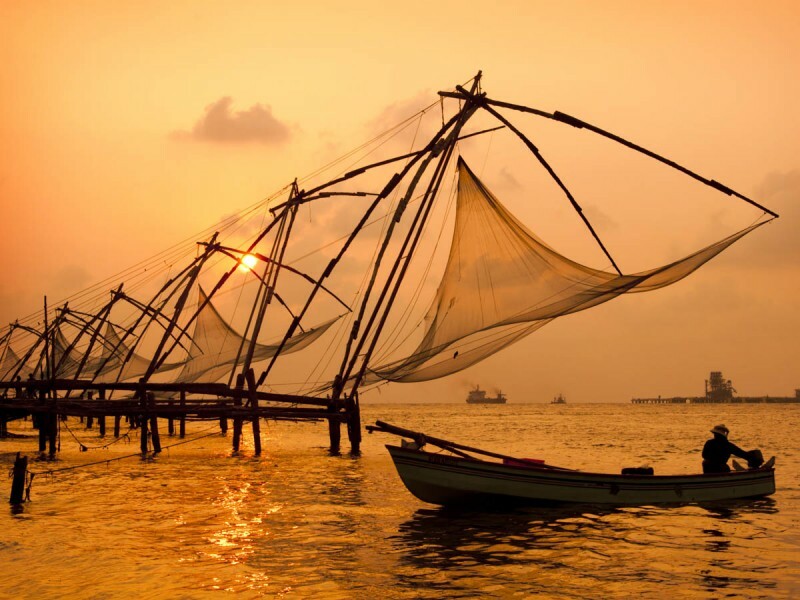 It has become a hallmark that represents Fort Kochi on the tourist map. Once this fishing accessory baited fishes now it baits tourists.The sight of the Chinese nets, suspended in midair and standing in line on the beaches when silhouetted against the sunset is stunning. It is one of the most photographed sights in Kochi. For the best view of the nets, head to the Vasco Da Gama Square. Each fishing net is operated by more than four fishermen and is made in such a way that the weight of a man walking on the main plank causes the equipment to be pulled down into the sea. Fishing is usually done in the morning and early evening. 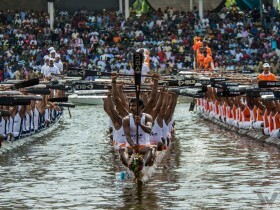 The net is submerged into the water for an interval and is then raised by pulling the ropes. The slow rhythm and balancing of the net are spellbound the first-time viewer. 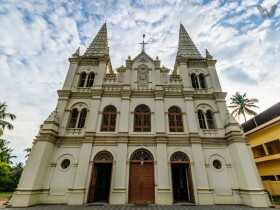 The Santa Cruz Cathedral Basilica at Fort Kochi is one of the eight Basilicas in Kerala. This is the oldest church in India, built by the Portuguese in 1505. 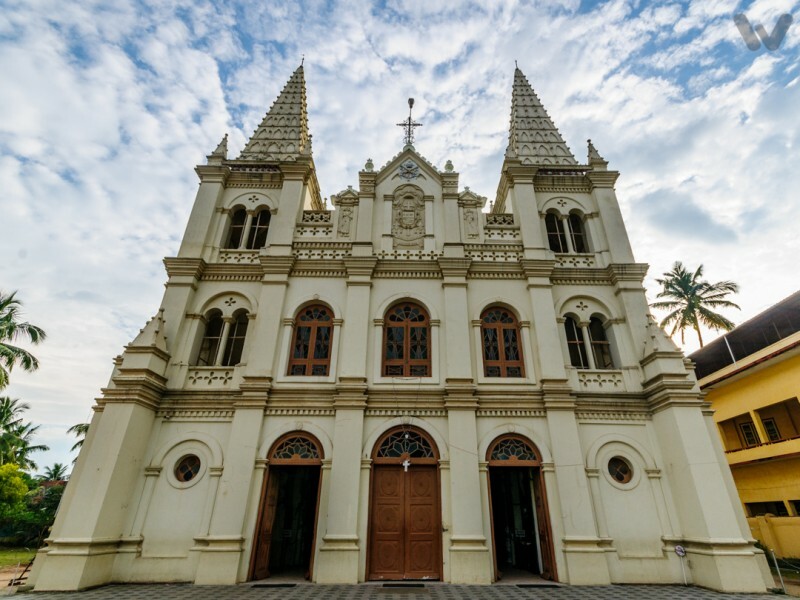 This church is one of the most elegant and most impressive churches in India and visited by tourists the year round. Even though it is a place of worship, it is a center of historical significance, endowed with the gothic style of artistic grandeur and colors. It was built by the Portuguese and elevated to a Cathedral by Pope Paul IV in 1558, was spared by the Dutch but was Later destroyed by the British. It is one of only eight basilicas in India. It has a Gothic frontage and soaring spires which makes it a very pretty building from the outside. The inside is ornate and enormous. Biblical scenes are painted on the panels in the ceiling which is very high. There are so many details and colors inside that some consider it gaudy while others find it beautiful. 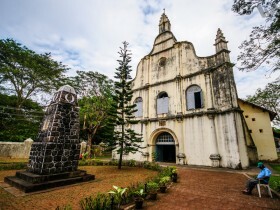 The oldest European church in India, St. Francis CSI church was built in 1503. It has been the symbolic site for Europe's struggle over India spanning three centuries. Today it is under the aegis of the Church of South India. The Church is well-known for its beautiful architecture and ambiance. On the northern sidewall of the church lies the gravestones of Portuguese while those of the Dutch are on the southern sidewall. The Dutch cemetery is possibly one of the oldest cemeteries in India. 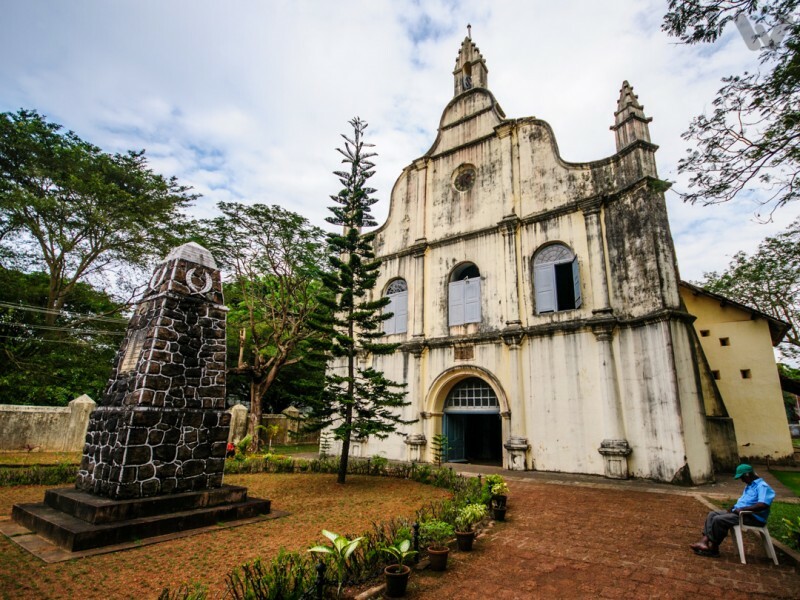 The tombstone of Vasco Da Gama marked by an enclosure that lies to the southern side of the grounds.To visit the oldest European church of immense historical significance head over to St. Francis CSI Church. There are also several inscriptions on leaves, depicting the life and times of the Portuguese and the Dutch. The church has a high structure with a gabled timber-framed roof covered with tiles. A stepped pinnacle is built on both sides of the frontage, which is very impressive and retains an old architectural charm. **This is an indicative itinerary for textual reading - final package might vary based on the customer chosen locations and attractions.